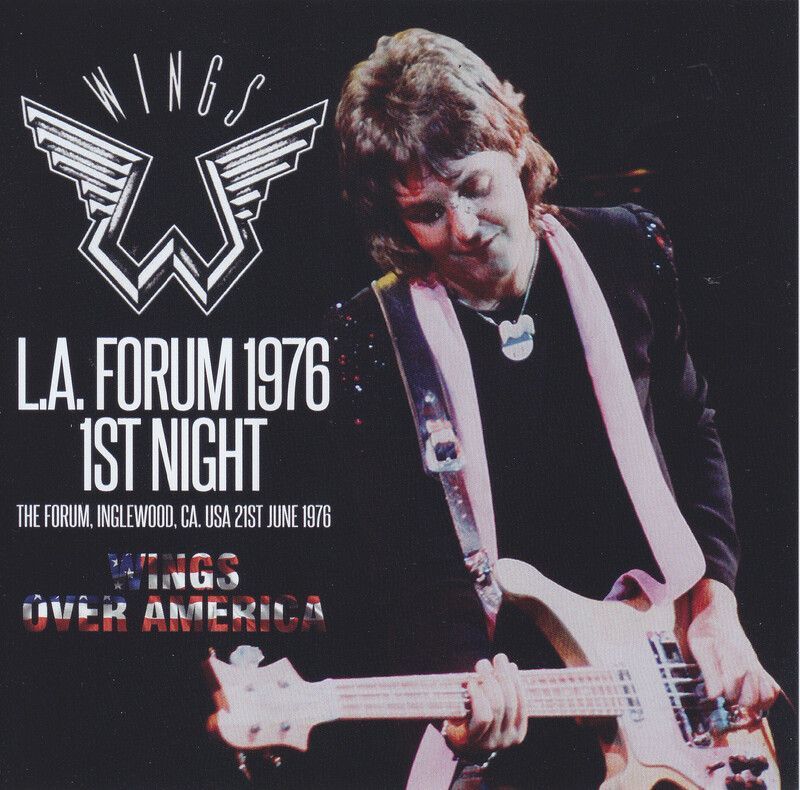 Wings’ over-America tour, which monopolized the topic of the American rock world in 1976, that Chiakakura was a three night continuous performance at that LA Forum. There is not such a suitable venue as the finale of the tour of the crowning group. Moreover, since it is the tour of the tour that attracted attention throughout the United States, it is Taikinakaku, so all sound sources also exist for three days. 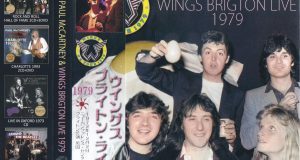 On the second day there is quite a good sound quality audience recording, and in addition to the “WINGS FROM THE WINGS” sound source released as a gift item this time on the last day, Mike Millard’s A blessed situation that exists even to sound sources. However, only on the first day there are only audience recordings with poor sound quality that can not be compared with other days. This sound source is also easy to obtain on the Internet in recent years, and there are not a few maniacs who are extinguished by the poor sound actually. In the meantime, the sound was far away and the mania had crushed the hiss noise with intensive equalization when spreading it on the net, as if the sound was heard from the aquarium or the aquarium, it was in a state of hearing . By the time the 21st century ceased, there was a label that released such CD-R of Clapton with such equalization, but if you think so, you can imagine how poor and unnatural the sound quality was . Even so, although the sound source of the first day was finally realized by the appearance of the item that set the LA three days last year, the press CD implementation has been realized, but if you consider the badness of this sound, it can only be said to be aggressive. Although it was the first day of the LA Forum which had only so much a quality sound source, this time also the maniac who went to see the show of the day that day in 1976 from Japan wrote it! 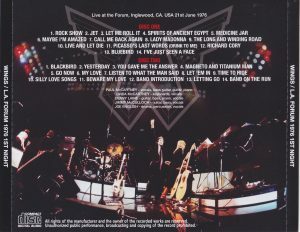 Pictures taken from the audience on the day were affixed to the cassette label released at the time of this release, and it is said that he was surely witnessing the first day of the LA Forum. Are not you envious of anything? 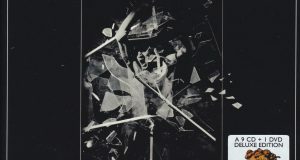 Therefore, it is a new excavation audience recording that captured the first day of the LA Forum released at the limited press CD this time with the San Diego performances this time. However, the sound quality is inferior to that of San Diego, and since it is a texture sticky overall, it is fact that it is for maniacs. Nevertheless, it is also a fact that it is a level that can not be compared with the sound source which has been circulating in the past so that it can be heard as music. The contours of the performance were so blurred that the earlier sound sources did not know what they were doing. The difference between it and this is the sound source of this time. Rather, a typical analog boot tick sound quality will make you feel even nostalgic. Also there is a problem that two songs of Encore are not recorded from the end of “Opening” Venus And Mars “and” Band On The Run “, and in this release, compensation using the previous sound source was actually tried It was. However, because it is that villainy sound quality, using it for the missing part makes it harder to hear. As there is no other sound source, it is easier to hear it by editing featuring only this sound source without compensating more … It is a translation that led to such a conclusion. Especially since there are fewer defects than San Diego in the first place. 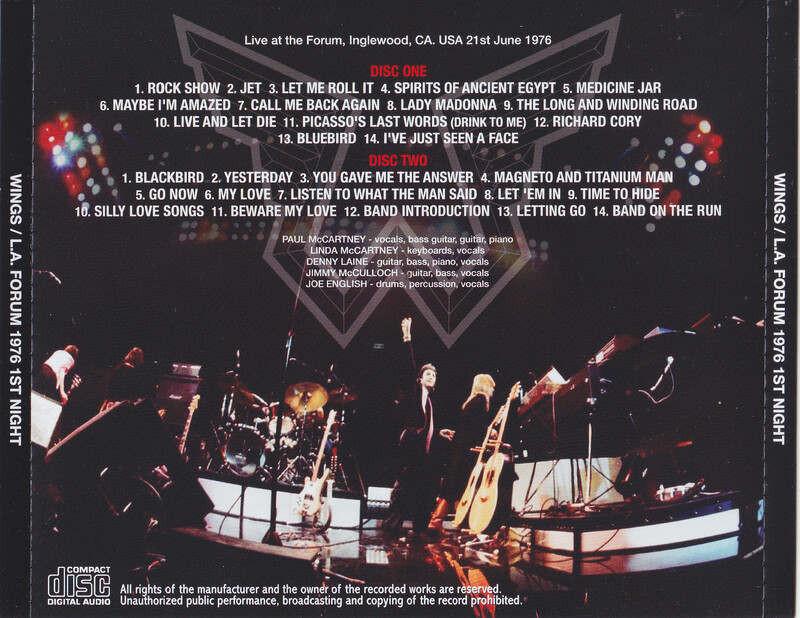 Thanks to scenes of member introductions (at this time the horn section was introduced with BGM) and “Letting Go”, scenes and songs that were not heard in San Diego are high in points. To my best the performance and the excitement of the venue are truly amazing. Although it is indeed a rough and quality monaural and audience recording, it is in a state where you can listen to the performance much more than the previous sound source, so you can feel the special excitement and the greatest wings of wings. On the contrary, this day when the venue welcomes wings, the day will be the best excitement without any multiplication in the three days of the LA Forum, as well as being the best among the over and america tours. Even so, the advantage of this sound source is that the performance will not be drowned out. Just because he introduces Jimmy · McCulloch ‘s song “Medicine Jar” song, how much this day’ s excitement is amazing is the voice that is similar to screaming. Then the reactions of new songs and wings and numbers are also amazing. This is the realistic feeling unique to the live group of the active group who got the peak of popularity in 1976. 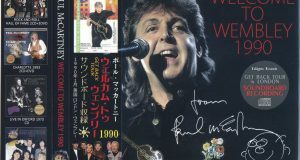 Paul also obviously hustled before such excitement, and it is a pleasant scene that the audience sings singing of the American national anthem in front of a crying point “Yesterday” from tears of tears for the audience (this is the scene seen also in Atlanta etc ) Is seen, and the response when singing “Yesterday” from there is tremendous again. And while “Richard Cory” of the acoustic corner was the last day of the LA Forum, Denny Rain sang the song title “John Denver” to crowd the audience, whereas this day changed to “Harry Nilsson” It is also interesting to be there. Although it is surely coarse sound quality audience recording, the obvious value of the first day of the LA Forum, which had been literally buried in veil literally due to bad sound, is too high. Thanks to that, I became able to hear clearly the scenes mentioned so far. By the way, the first day of the LA forum is June 21st. 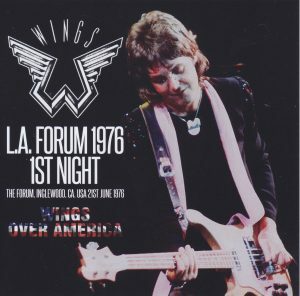 On the same day a year later, another British band was playing a spectacular performance at the LA Forum (= Eddie’s Day), but one year ago Paul led Wings, performing the best performance That will be clarified by this sound source!